It is peak season for grilling steak, and while you can cook a ‘perfect’ version in the middle of winter on top of your oven in a pan, there is just something extra appetizing about seeing those charcoal tan (grill) lines in all their glory. The problem that we face is that when a tender cut of meat hits the hot coals – it shrinks, it toughens and has the tendency to get dry. 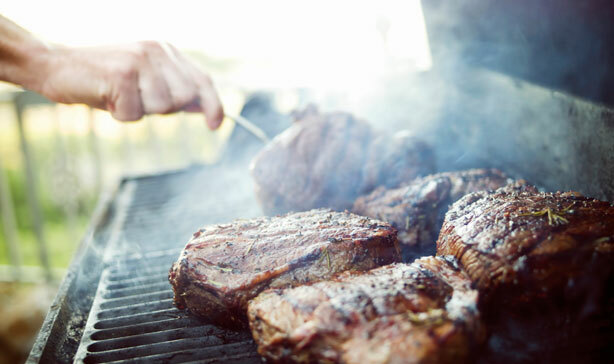 Here is what you need to know to avoid these pitfalls and cook the best summer steak. Bones are bad on a cut of steak, right? They take up space, weigh it down, and provide more work with your knife and fork. But the truth is, bones are essential to a great grilled steak. You have probably experienced laying an 8-inch slab of steak, only to have it transform into a 4-inch mini-me version. This is the result of the steaks fibers shrinking from the heat. One way to combat this phenomenon is to choose cuts with bones, like a Porterhouse. The bone helps to hold the fibers in place so shrinkage is less of a problem. And we all know that no man likes shrinkage. 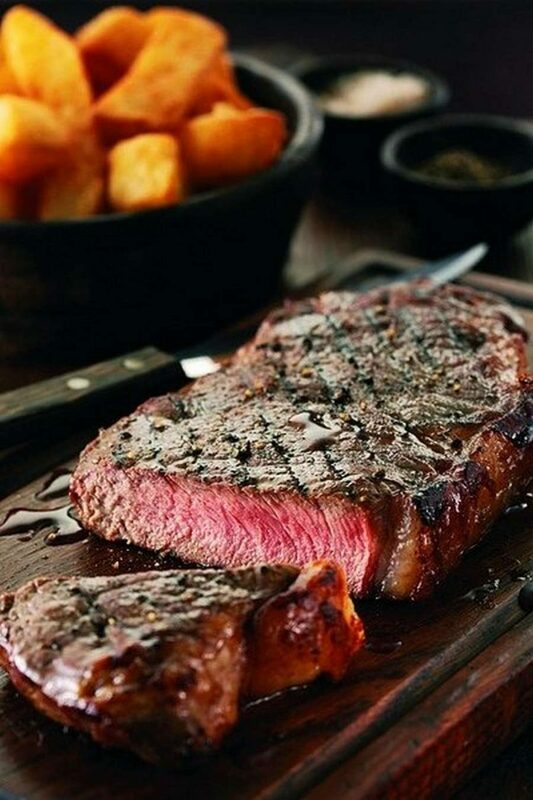 The reason a pan steak is considered the ‘perfect’ means to cook it is that it cooks in its juices. You can use a cheaper cut and walk away with a more expensive flavor. But that advantage disappears on a grill and a hard rubbery steak can be the result. But if you choose a nicer cut (preferably one with at least 30 days of aging and a little marbling behind it), it won’t require much extra work on your part to make it good. What makes a really exceptional steak is… fat. Either fat from the marbling, or the added butter in a pan while cooking. In fact, many great chefs use butter to cook an exceptional steak. And while you won’t have the edge of pooling butter in a pan, you can keep a bowl of this stuff nearby and brush it on somewhere in the middle of the cooking process. The first step to every great steak is to sear the outside with high heat. This creates a liquid-proof barrier that will allow the meat to swim in its own juices, rather than spilling out into the bottom of your grill. You do this by allowing your grill to pre-heat as hot as it can get, and then searing all its sides (even the skinny ones) for about 30-seconds. Once this is done, you want to lower the temperature so that the steak cooks slow and even. You also want to turn a steak often (every minute or so) to keep the juices towards the center. Gravity has a way of pushing the juice to the bottom where it can leak out and let other parts dry out, which we all know is a bad thing. Once the steak has been cooked to perfection you are going to want to redistribute those juices to all parts of the steak. The best way to do this is to just let it sit undisturbed for about 5 to 6 minutes. Yeah, we know that some of these tips will take some extra work, but it will be worth it!